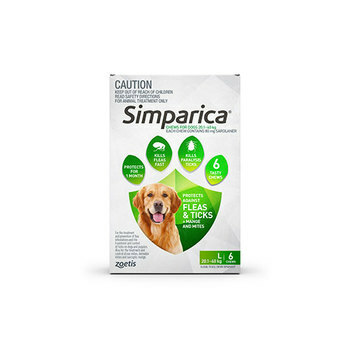 Simparica makes choosing your dog’s flea and tick treatment simple. It’s a tasty chew that works fast and lasts to protect your pooch against fleas, ticks, mange and mites all month long. Get rid of paralysis ticks faster, and wipe out fleas faster. Simple.